In today’s challenging and complex world of work, we know that those guaranteed career pathways that used to be present just aren’t around anymore. Change in the workplace is ever present and so the importance of being an agile and flexible employee has never been greater. That’s why developing your resilience is so fundamental. So what do we mean by resilience and what are some of its key building blocks? Resilience is often talked about as the ability to bounce back when things don’t quite go to plan. It’s often what gives us strength to manage uncertainty and adversity in our lives and the stress that can come about as a result. So building a sense of resilience can really support you in the ever-changing world of work. What can you do to consider your own resilience and how you expand on it? 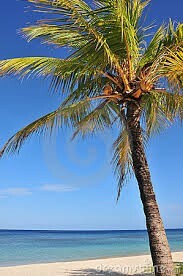 I often think of resilience as a palm tree – a palm tree is rooted, firm in the ground, utterly solid. It’s secure with huge roots running twice as deep as its height and so it is supported in a way which gives it strength and a firm position. And yet when you take your eye to the top of the palm tree, there’s this fantastic fluidity in the foliage that can get knocked around by an unpredictable wind, and so has an immense amount of movement. In short, it has resilience. If you can work at looking at what keeps you grounded, but you can also develop a flexibility which allows yourself movement, you’ll be doing well at paying attention to your core resilience. What are the core building blocks that form resilience? Firstly, have a strong mindset that allows you to have a positive view of the world, of yourself – that in itself is hugely strengthening when it comes to resilience. This is about knowing yourself, knowing what’s important to you as you go about your day. The second building block is around commitment, being committed to both your actions and your goals, having a sense of knowing what it is that you want and going forwards with that. Again, when you think about what’s important to you, you feel strong. Finally, having a sense of personal control over your life is all about building resilience. So when you know where you can control your life and importantly, when you can know and accept those elements of life that you cannot control, you can choose to direct your attention towards the former and become stronger by doing that. So, think positive mindset, think commitment and what’s important to you and your actions and finally, think about where you have control. First of all, it comes back to positive thinking – pay attention to both the positive and the not so positive messages that you give yourself every day. Positive thinking isn’t about creating unrealistic thoughts not grounded in your experience – it’s about taking the time to consider the things in your life that you’re truly grateful for, allowing yourself time to dwell on those feelings, rather than the negativity bias that we’re pre-programmed to default to. If you can catch yourself in a place of negative assumption, switch! The art is in catching yourself in the first place. For example, your manager is abrupt with you at work one morning and you find yourself thinking ‘what have I done wrong now?’. It’s all too easy to personalise the manager’s behaviour, when in fact there could be a host of reasons behind his abrupt manner. He could have had an argument with a family member, struggled through a bad commute to work or may-be he has a pressing deadline to meet later in the day. Stepping back from negative talk is tricky stuff – take the time to do it, flex your brain and you’ll be able to do this more and more. Fundamental to resilience is feeling strong about yourself. The more attention you can give to your wellbeing, the better. Paying attention to your mind and body and taking care of it is key and of course it is something that we can so easily forget to do in the midst of stress and pressure that we might be caught up with in the workplace. It’s far too easy to sit at your desk through your lunch break or not move around and stretch your legs, particularly if that’s your workplace culture. Take time to take care of your mind and body, as nobody else will! And remember to consider how you might strengthen those important relationships around you, as strong relations are vital when building resilience. These relationships take investment so give them the time and focus that they require. Finally, going back to the importance of taking action and having goals and a focus, don’t lose sight of the flexibility in that palm tree. Even the best laid plans can unravel and come off course, so be kind to yourself – give yourself the flexibility and movement to make changes to plans, ditch a plan if need be. This way you will be paying attention to true resilience, allowing yourself to ebb and flow. Remember, you can’t stop the waves, but you can learn how to surf them!